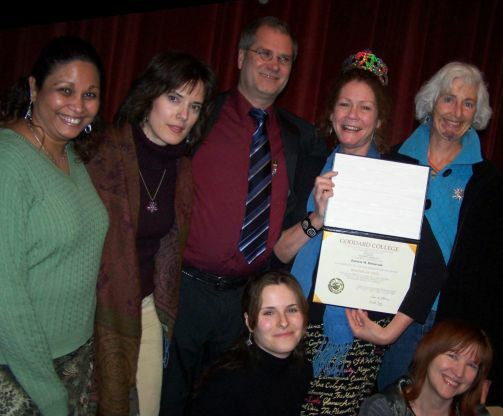 > We bring you this blog to share stories of change and changers, stories that make a big difference in a life, a community, even our culture at large, stories we’ve witnessed in the Individualized MA program’s students, alumni and faculty. Reading such stories can foster hope, give us ideas for our own work or studies, illuminate projects and arts that engender positive change, and spark in us more of story we’re meant to live. We also share these stories because each one is a ripple of change, catalyzed by focused inquiry, interdisciplinary study, engaged practice, innovative work, and deep re flection. Whether the project is a study of pilgrimage as a pathway to social change, political organizing to prevent environmental devastation, or writing workshops to help a previously silenced community find its collective voice, each project fully embodies one person’s vision for living with greater purpose. Most of all, we share these stories because they’re too important to keep to ourselves. Please feel free to share your stories and responses as you read. 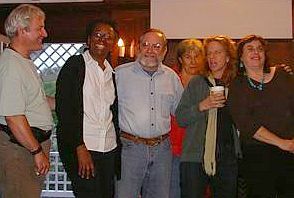 Photos: To right: IMA graduates from fall 2006, from left, clockwise, Sue-Ann Commissiong, Krystina Graves, Larry Greer, Patricia Boissevain, Cynthia Crisel, and Hillary Smith; to left: IMA faculty members, including — from left– Francis Charet, Ruth Farmer (program director), Ralph Lutts, Ellie Epp, Katt Lissard, Caryn Mirriam-Goldberg. This entry was posted in Uncategorized and tagged Cynthia Crisel, Hillary Smith, Krystina Graves, Patricia Boissevain, Patricia Fontaine, Sue-Ann Commissiong. Bookmark the permalink. >Thanks for linking word arts and social justice. Articulation of a problem is the first step in solving it.